While cities might get all the action, there's nothing quite like the charm of a small town. 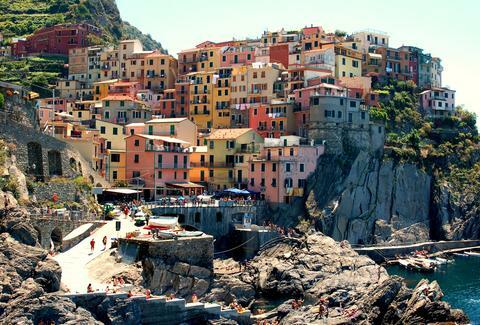 Especially when it's wrapped in quaint canals and colorful cliffside houses. But which scenic villages are worth a detour off the beaten path? Thankfully, the good folks at Quora voted on the world's most delightful small towns and came up with a number of true stunners. From a distant pocket of Greenland, to the Norweigan fjords, to the coast of a remote Greek island, here are 8 of their best. 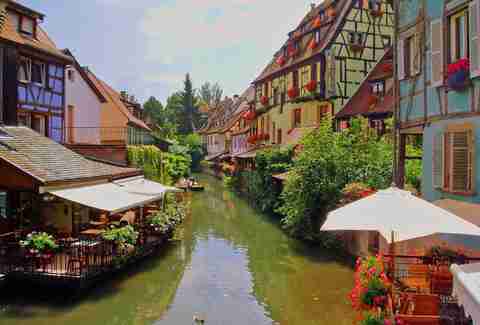 Known for having some of the Alsace region's best architecture and wine, Colmar offers tourists the chance to sip vino and soak in pastel-colored, Tudor-like houses as they cruise down the Lauch River. 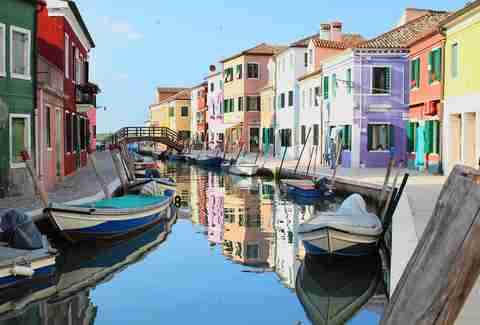 You'll have no trouble spotting this Venetian island town, known for its rows of cube-shaped colorful houses. Local lore has it that fishermen chose the vivid hues in order to see their homes from afar. Burano's also one of the world's biggest exporters of lace. 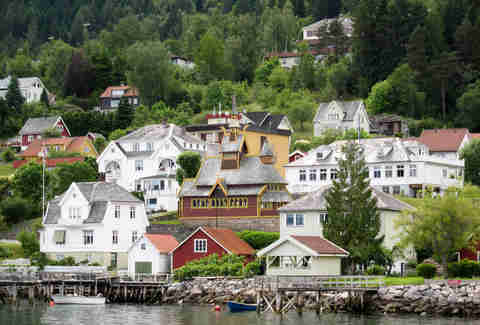 Residents of this adorable Scandi town on the Sognefjord (Norway's largest fjord) live in houses built in a traditional style for the area, and have killer views of the surrounding mountain landscape. 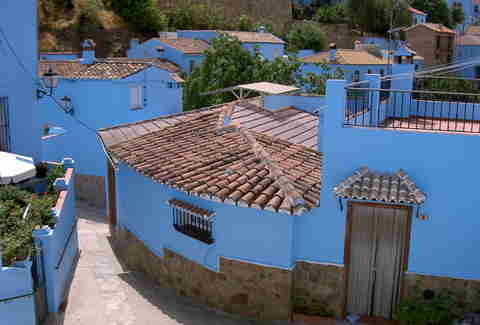 You'll learn to love blue in this Andalusian village (fondly dubbed Smurf Town) where they filmed the Smurf movies, as the houses are all painted a uniform azure. Thanks to the surge in tourism, residents voted to keep the color. 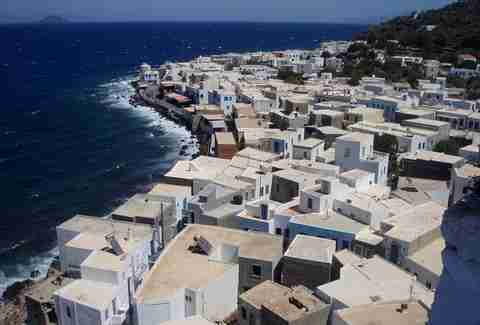 Expect tiers of whitewashed stone houses, taverns, and shops on the idyllic Greek island of Nisyros, where the town of Mandraki offers up gorgeous blue-ocean vistas. It's just a short distance from Paleokastro (or "old castle"), a crumbling ancient ruin that harks back to the 4thC B.C. 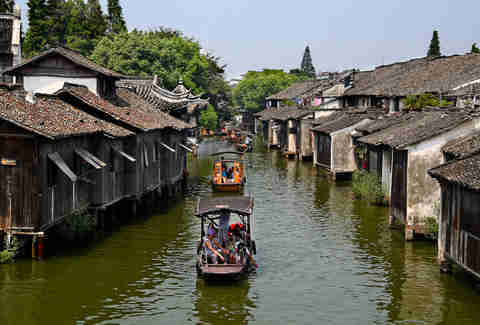 This Chinese water town north of Tongxiang City is purportedly thousands of years old, and boasts an unconventional layout that's only 1.24mi long, but is split into six distinct districts for work, culture, community welfare, shopping, food and drink, and residential use. 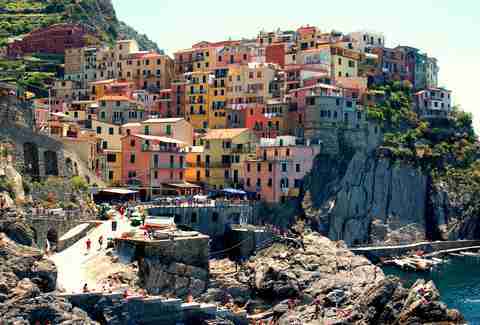 A cluster of five medieval fishing villages flanking Italy's West coast, Cinque Terre's known for its beautiful architecture and dramatic cliffsides. Cars are banned there, so getting around means either ambling down narrow hilltop paths, riding the train, or hopping on a ferry. 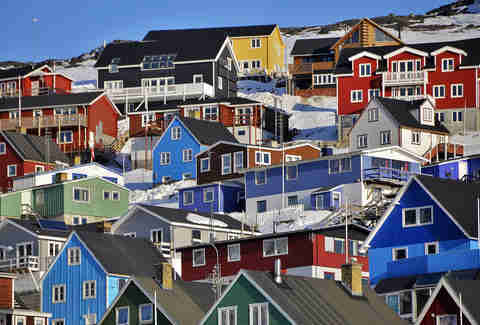 Made up of charming multicolored houses, the quirky town of Qaqortoq is South Greenland's largest. A popular student destination, it also looks like the set of a Wes Anderson movie.